People who practice kitesurfing will always come up with questions about how they should take care of their kite and their gear in general. Due to the fact that maintenance of the kite is quite simple, by following a few recommendations you can increase the life of your kite. With a little attention and good care, your gear will always work as it should. Let’s take a look at a few tips to get started. 1. Sand. Sand is your main enemy here. Before inflating your kite, make sure you shake the nozzle well in order to remove the sand that can cause wear in the inner tube. You must also do the same with the nozzles of the pump to keep small grains from getting in. Before packing up your kite, make sure you shake off all the sand that may be in it. The sand is very corrosive for the kite’s materials and you can provoke leaks, tears and fragility in it. 2. Don't pack up your kite when it's wet. Washing your kite is not really necessary, but if you decide to wash it, every time you do it you must let it dry properly before packing it up again. Packing your wet kite can cause mold and bad smells, and in some cases the colors might wash off. 3. Inflate and get your gear ready on the beach. Walking from the sidewalk or the grass to the beach means that on the road you will likely find tar from the street, light posts, trash cans and several other obstacles that will put your kite in danger. The kite’s lines can tangle up with the lampposts, the kite can get dirty with tar and all of this can be avoided by getting it ready directly on the beach and also avoiding long, unnecessary walks. 4. Avoid self-takeoffs as much as possible. Self-takeoffs in bow and C kites will increase their wear in the long run. Every time you make this maneuver with your kite, it will always rub itself against the surface of the beach. 5. Inflating pump. When you put away the kite’s inflating pump, first you should put the pipehose away separately. When it’s not unplugged from the pump, it'll be at risk of bending and creating cracks in the folds, thus causing unwanted leaks. 6. Control bar and lines. Keep your lines free of knots, and rinse them with fresh water after each session. A knot on the line weakens it in more than 50% of its normal capacity, putting you at risk of breaking a line. Fresh water prevents salt from corroding the fibers of the lines, as well as the pulleys and swivels of the kite. 7. Avoid twists of the bladders. Make sure that your kite is completely open before you start pumping. Letting the kite unroll while you are inflating it is a bad habit that can cause twists in the inner tubes of the kite, in its struts or the leading edge. Besides, you must be sure of not putting the nozzle of the pump’s pipe hose too deep in, to keep them from deforming and stretching. 8. Use your kite’s travel bag. Don't put away or transport the kite without it travel bag, especially if you're traveling by car. Board keels and other kinds of objects can easily perforate it. 9. Waves. If your kite fell on the water and it was caught by a wave, let the sea take it away. On the other hand, if you try to hold on to it, waves will stretch the material and deform it, and if the wave is too big it may even tear the fabric apart. 10. Wind and sun. Never let your kite get shaken by the wind and, don't ever leave it under the sun. A lot of sun causes your kite to become weak and lose its colors, and letting it shake with the wind causes strain on the materials. 11. Don’t keep your kite in dry, humid or hot areas. This can have devastating consequences for the valves. 12. If you happen to see a tear in the fabric of your kite, no matter how small, you should try to fix it before elevating the kite. Air pressure or any sort of impact will end up tearing and ruining the fabric completely. 13. Regarding your wetsuit, it's also a good idea to hang it in the shade and hanging it properly once you’re done using it. Leaving it out to dry in the sun will only shorten its life. Remember to turn it around for it to dry on both sides. If you follow these simple rules, your kitesurfing gear will be in perfect conditions for years to come. 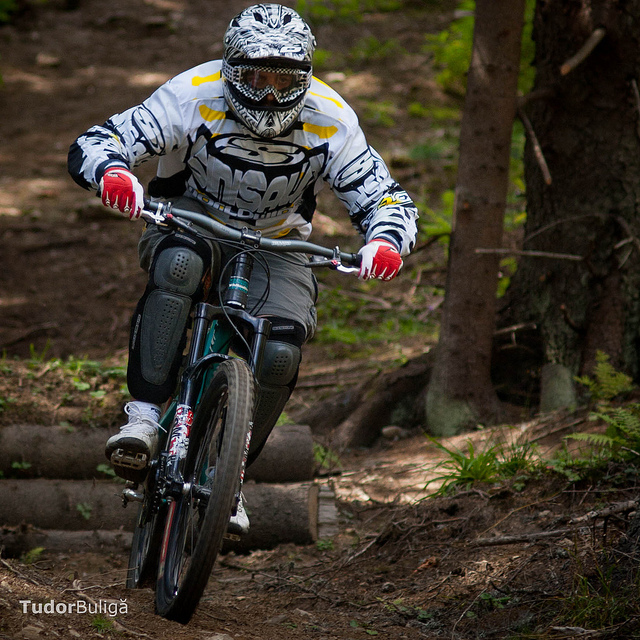 Mountain biking is considered one of the most technical bicycle sports in the world. Here, you have to ride a bike most of the times in a difficult terrain. You can find dry lands with high heat, hard ground, dunes, fast descents and other challenges that an arid environment could give to live an amazing adventure. On the other hand, you could find wet landscapes, with high mountains, tall trees, lakes, little bridges, among other things that will make that kind of sceneries perfect for living incredible bike rides passing through a lot of obstacles. There are also more quietly sceneries for those who prefer relaxed trails and soft roads. This is an individual sport, so you have the freedom to choose the track that you want to do, but you can also make trips with friends to challenge the nature together. 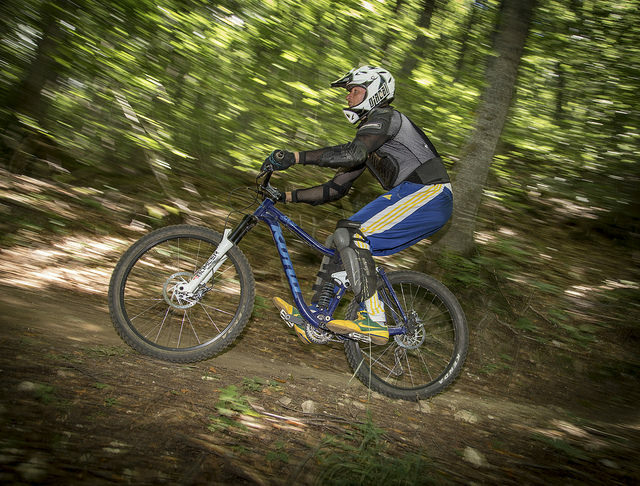 Mountain biking has many categories, among which are downhill, cross country and free rides. All these categories bring different defies and there are some harder than others. However, in any of these sorts, you have to prove yourself through your biking skills and riding technique. If you are in Florida and you like the adventure, you have to try one of our recommended bike trails. There are different roads in the categories mentioned above, with multiple difficulty levels. Every recommended track has its own particularities and challenges. You have to see depending on your skills and technique, which of these sceneries test your conditions and abilities. These recommended places are not sorted specially, they are just nice roads with different difficulty levels where people can demonstrate their skills and have a good time riding a mountain bike. Located in the city of Ocala, this is not a longer trail (it has approximately 1 mile) but has enough rocky obstacles to make it a difficult road. It is recommended to experienced mountain bikers for its challenges which need a lot of technique and experience in rocky roads. It also has good numerous ascents and descents. There is a local bike shop if you need something for your biking ride. If you do not want to ride, you can also find places to walk and to do trekking, and some camping areas if you want to spend more time there. Located in Brandon, this trail has multiple sections. There are parts perfect for beginners or intermediate riders, but also for most advanced ones. The road has some very challenge paths, with descents, rivers, and bridges. It is recommended for novices, intermediates, and advanced bikers, depending the section you choose. Alafia River State Park is not just a biking zone. You can also find a bike shop, bicycle laundry places, water stations and bathrooms with hot water. There are also car parking lots, camping areas, and hiking places. Santos Park is situated in Ocala and is considered by many as the best mountain bike place in Santos. It is also the biggest place for biking with more than 81,290 acres of area. The trail has different marked sections with colors to indicate the difficulty levels of each area. The yellow ones are for beginners, blue for intermediate bikers and red for the advanced ones. For the most skilled riders, there are a lot of rocky places with different challenges that will put to test the abilities of the ones who want to try the harder sections. The Park has also different places to do trekking and walks through different landscapes. This is a perfect way to know diverse sites from there. Besides, there are multiple camping sections with bathrooms and water stations. This biking place is located in the city of Lakeland. With approximately 10 miles of area, the Loyce E. Harpe Park has a lot of diverse trails that pass through and old phosphate mine giving to the bikers a lot of challenges and different kind of roads. The mine has a single track that passes through it and defies the riders with multiple obstacles. As the other zones mentioned above, the Park has the possibility to walk through different paths and many areas for camping. Additionally, the Park has local bike shops. With almost 24 miles of path, this preservation area situated in Tamarac has smooth trails for beginners’ riders and for those who want to try an easier route than the trails mentioned before. This road has some rocky parts, but most of them are easy sections. It is a recommended place for novices, due to its quiet tracks. It is allowed to make night ridings. Conservation Levee Greenway also has a lot of animals. You can see in your rides some alligators near the trail, so be careful with them. You can also go camping in some areas and make walking tours. 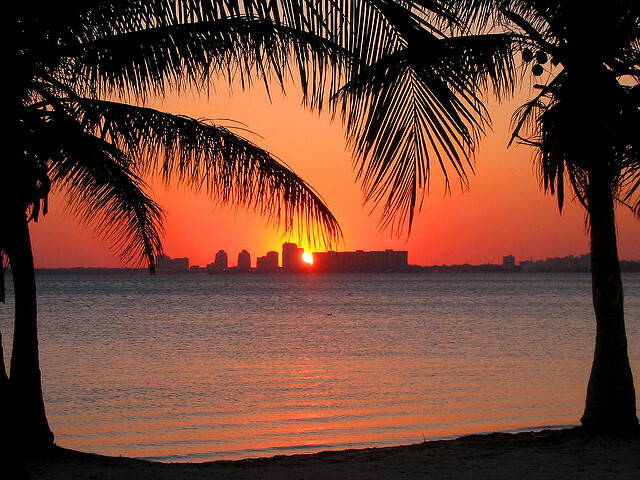 Miami is one of the most desired places on Earth to go on vacation. It is highly appreciated by both Americans and people from all around the world. Tourism in Miami is present all year; the weather, which is nice and warm for most of the year, and with an ongoing offer of lots of activities to be done, it is not rare to see every day more and more tourists walking down the streets. Given its privileged location, unlike any other American cities, Miami allows its visitors to practice lots of extreme sports — aquatic and ground related —. Patrick Dwyer, apart from being one of the most successful wealth advisors, is also a sports enthusiast. Known for his philanthropic facet, . Being Miami the ideal place for practicing these kind of sports, given the access to the Atlantic Ocean, and the routes in Fort Lauderdale and Miami, as well as all the available paddle boarding canals, readers have the possibility to also have a great time in between financial consultations. Miami offers the opportunity to practice lots of aquatic sports: whether drifting around the ocean waves or having a nice and smooth ride near Biscayne Bay, there are plenty of places where tourists and locals can practice whatever they want. If readers are keen on biking around, there are plenty of routes where they can go for a ride, or go for a neighborhood exploration and discover new places and surroundings. Both in Miami-Dade County and in the City of Miami there has been and ongoing development in regards to biking routes. Dwyer suggests visiting the Snake Trail: a three-mile paved road for enthusiasts near Miami Gardens where readers can go during the whole year and discover new places like the Spanish Monastery which is also worth visiting. If readers feel a little more adventurous, and are willing to spend the whole day riding their bikes — and have a great time while they are at it —, near Rickenbacker Causeway in Key Biscayne they can try the Rickenbacker Trail: an almost nine-mile paved road where readers can ride as they go past Brickell, the aquarium and Key Biscayne. It is advisable to bring sunscreen and snacks since there are several mandatory stops worth making. Also, if there are others who do not want to push themselves that much, Patrick suggests trying the Commodore Trail in the surroundings of Coconut Groove. There readers will find a five-mile paved road within the historical part of South Miami. Be ready to come across museums and parks worth visiting and enjoying. But if readers want to travel and have a great workout at the same time, they should definitely try paddle boarding across the numerous canals in Miami. Apart from burning some calories, it’s a great and different way to explore the city. 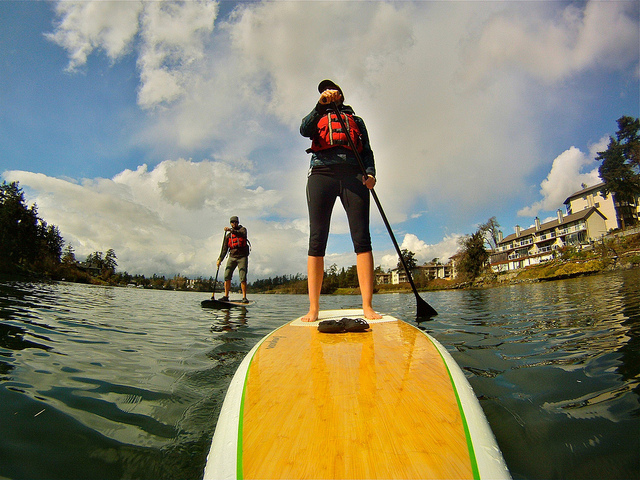 Paddle boarding has become so popular that it is now considered a way of life. So, go get a paddle-board — they come in all kinds of shapes and sizes; it is advisable to start by using the widest and longest one — and paddle across the waters. As readers might imagine, it is mandatory to be carrying a life vest for as long as they are in the water. 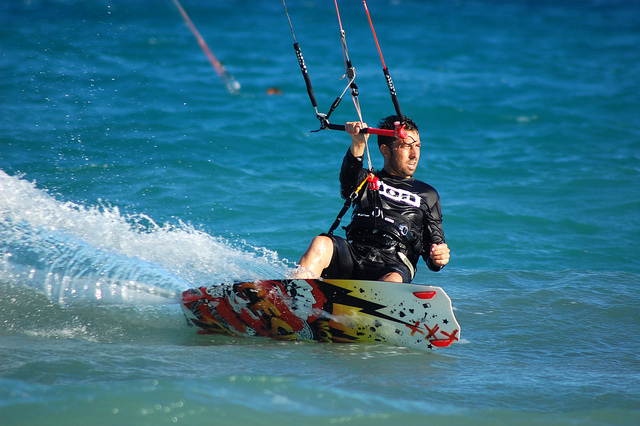 Since it is a very popular activity in Miami, there are lots of places where tourists and locals can go and rent both paddle and kite surfing equipment. Places like Key Biscayne and Virginia Key host the most popular stores and shops for beginners. If readers have not tried paddle boarding before, Dwyer suggests starting by going to the calm waters near Biscayne Bay: it is not only the perfect place to learn the basics but also it is the perfect place for having an unforgettable day at the sea. 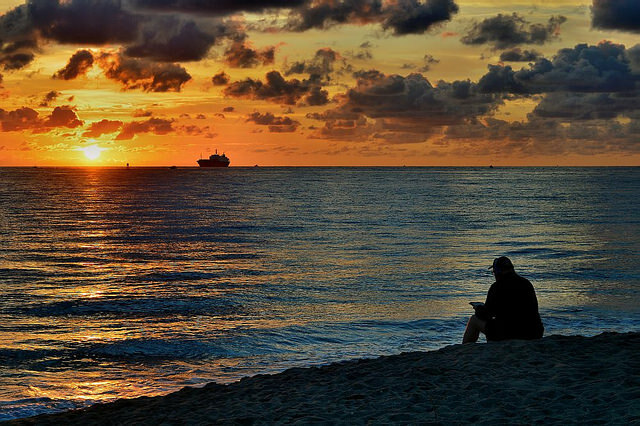 If readers are more versed on paddling across the ocean waves, then they should definitely go to Rickenbacker Causeway and enjoy the waters right by the beach. Kitesurf is a sport that requires an elevated cost to start practicing it, even though in the long run it can be a very beneficial sport for your wallet, due to the simple fact that taking advantage of the wind has no cost at all. 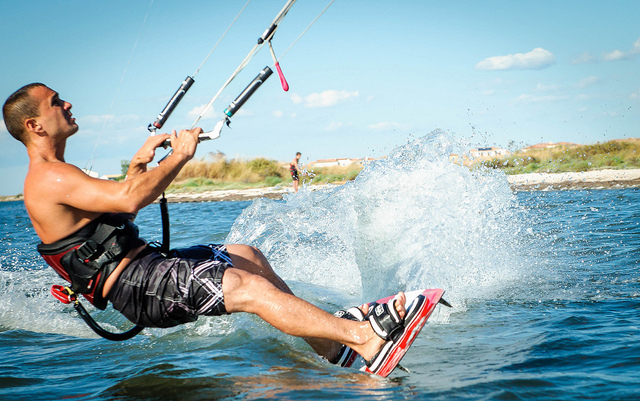 We'll take a look at several tips to acquire second hand kitesurfing gear, one of the best options for those who are just getting started with kitesurfing. 1. To get started with kitesurfing it's advisable to acquire second hand gear to reduce the high cost of the entire kitesurf equipment. Second hand gear will allow you to determine if it's the appropriate sport for your tastes and interests, and it will allow you to progress without being afraid of having a kite that may have cost half the price of a new kite. You have to keep in mind that, if you’re just getting started, the gear will be used heavily due to your lack of technique. 2. In order to acquire your kitesurfing gear in a secondhand market you will determine its condition in the first place. To do that, you should ask for photos and information about the kite. You should be interested in information about repairs or modifications, ask about how worn out is the kite, the amount of hours that it has been above the water, and it also may be interesting to ask about the zones where it has sailed through. All of this information will be useful to guarantee a good choice. 3. You shouldn't discard the choice of a repaired kite. There are many kinds of repairs, and that's no reason for any kite to lose its value. The more usual repairs are on the fabric and they may have been provoked by many reasons such as hitting an obstacle, being dragged through the beach, and so on. These repairs have little importance if they have been made by a professional. It's likely that the kite will get damaged elsewhere, but not on the spot that was professionally repaired. You should be particularly careful with repairs made between the stitches of the fabric and the struts, the fabric and the leading edge or in the structural points of the kite such as the bridles. This sort of repair work must be done by a professional. When talking about repairs to the leading edge or the struts, you should demand that the inner inflatable structures be replaced by new ones. 4. For a good choice of a second hand kite second hand, you can check basic details that will inform you of the use to which it has been subjected. One handy tip is to check the change of color of the fabric that has been exposed to the sun and the one that hasn't. Leftover parts of the fabric that holds together the leading edge or the struts are folded in such a way that you will be able to compare the color of the fabric when it was new to the color that it acquired after being out in long sessions under the sun. It's essential to check the condition of the fabric of the trailing edge, which is located across the leading edge. This little strip of fabric is exposed to strong movements that really deteriorate the material. Most models are reinforced in these areas, and some clear signs of use will be the longitudinal marks and parallel to the struts that will appear on this fabric. If you get the chance to assess the kite with your own hands, you will check the loss of rigidity of this part of the kite’s fabric. The condition of the valves and their capacity to retain the air can also be a point to consider which can inform you of its condition and usage. 5. More points to consider when purchasing your second hand kite. 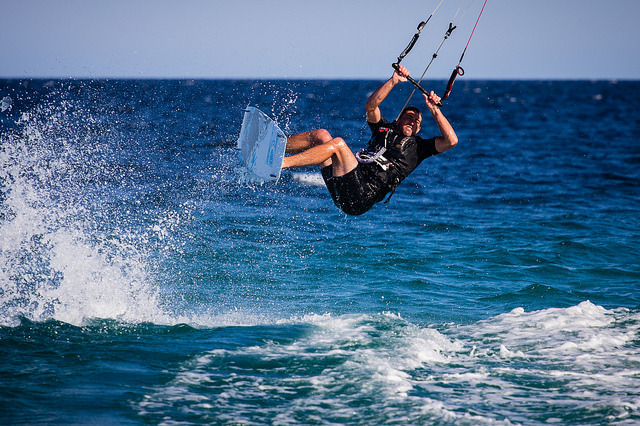 The bar of the kite, the line and the safety systems are important points of your kitesurfing gear that will give you clear information about it condition and usage. 6. The prices of second hand kitesurfing gear are very variable depending on the year the kite was built, it's make, model and measurements. It's advisable to compare the very broad range of options available on the market and ask for advice from someone who has been involved in this little world for a while, it could be your kitesurfing instructor or a trusted, specialized store. 7. You'll be able to find second hand kitesurfing gear on Facebook groups, specialized websites, forums, or at kitesurfing schools and stores. To purchase items on a second hand market you can check Facebook groups that might have the profiles of the potential sellers, or if you decide to go to a school or store they’ll surely offer you a minimum guarantee of the condition of the purchased gear. We’ll depart from Copeland, a small village founded in 1932 by two entrepreneurs from Miami, J. B. Janes and Alfred Webb. The enclave would later be renamed in honor of one of its most notable residents and landowners, the engineer of the navy of the United States David Graham Copeland, who contributed to the design and creation of the Tamiami Trail, the road that enabled the union of the cities of Tampa and Miami, an unparalleled milestone. Precisely on CR 837 / Janes Memorial Scenic Drive, where the Janes brothers had their grocery store; and the intersection with the historical Lee Cypress Drive; the Turnstile Drive and Church Street; we’ll begin this journey. We'll go first in a northwesterly direction for almost twelve miles down the same road that sometimes meanders, veering west or north. Shortly after leaving Copeland, we’ll ride past the Fakahatchee Strand Preserve State Park ranger station, located between artificial lakes created by extracting building materials. Now the asphalt disappears and the soil will become very irregular. Meanwhile we will enter the forest where we will soon be surrounded by wildlife and lush vegetation. The landscape remains impressive, but the water always gives a touch of mystery and uncertainty while bringing us closer to the fauna of this medium. 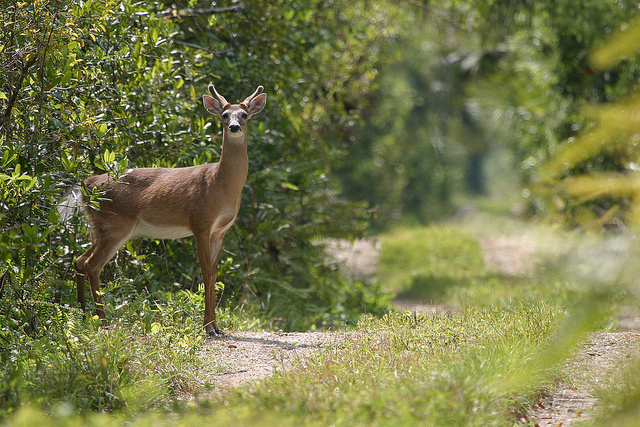 The Fakahatchee Strand Preserve State Park is located west of Big Cypress National Preserve. It’s a swampy forest that nearly disappeared in the first half of the twentieth century largely due to massive deforestation. Today it hosts an incredible variety of animal species such as the ever mysterious panther; black bears, and alligators. In addition, there are 44 species of orchids and 14 of endemic bromeliads. At the end of the road we’ll find the Picayune Strand State Forest Park, another forest located just west of the former. We’ll continue our ride from the end of the Janes Memorial Scenic Drive and head west on Stewart Blvd. This road will appear unpaved for a while, until we return to the asphalt of the ghost city. Just south of I-75 there are a few inhabited farms. About six and a half miles later, after crossing three bridges and countless intersections, we’ll get to Miller Blvd, and we’ll turn left. Then we’ll ride about three and a half miles south, back to the dirt roads, and the route will be closed to motor vehicles and we’ll travel along the last stretch before leaving the forest on a track just two kilometers long that will lead us to the Tamiami Trail. Here we’ll go west again for a mile and a half, leaving the Collier-Seminole State Park to our left. Its environment is basically a coastal ecosystem where freshwater and saltwater merge among mangrove roots. This landscape will surround us for a few miles when we turn south on the San Marco Road, road that will guide us to Marco Island. It is narrow and has no shoulder, so we must be cautious on our bike. We’ll pass by the Royal Palm Hammock and the Goodland Bridge. Marco Island is at the northern end of the state park of the Ten Thousand Islands and the Rookery Bay National Estuarine Preserve, being the largest island and one of the few inhabited ones, since these islands have historically been occupied by Native Americans. The territory was named San Marco by Spanish explorers in the sixteenth century. West of the island there’s the Briggs Nature Center. In the southern part, it’s the former site of a place called Caxambas, a name that remains today in a park and several shops. 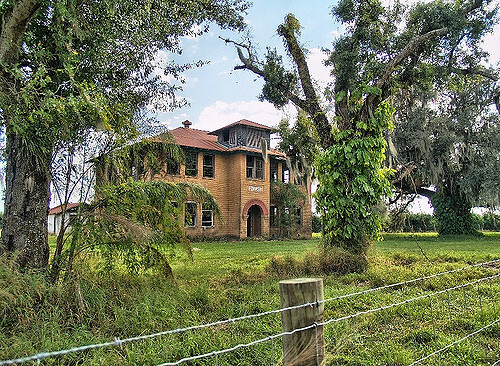 This is one of the oldest enclaves of the Gulf Coast since it dates back to 1771. The name comes from Caxymbas, the Arawak languages, ​​and describes the holes that the Indians made near the coast to search for and store drinking water. Some of the military forts erected in 1857 during the wars against the natives were Camp Moulder, Malco and Romano, in the nearby homonymous island. 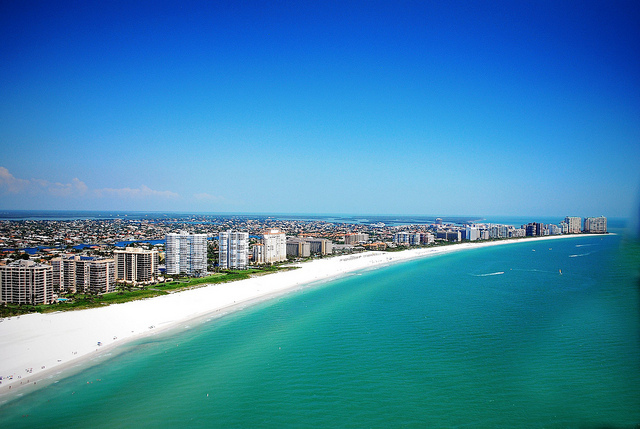 Currently Marco Island is a place packed with artificial navigable channels, luxury hotels, marinas, large mansions and condominiums. These resorts include the historic Olde Marco Inn founded in 1896 by William D. "Captain Bill" Collier. During the winter, up to 35,000 people come to this area. Among those who reside in this curious island are singer Shania Twain, astronaut Michael Collins, John Spiker -the bassist of "Tenacious D"- or golfers Gene Sarazen, Pat Bradley and Ken Venturi, among other athletes, musicians and artists in various disciplines. Returning to our route, once we have reached the Collier Blvd, we will find the beaches obstructed by majestic buildings for recreation. From this point, in order to return, we have to go back all the way in the opposite direction to Copeland to complete this journey. ,Every summer it seems there are more and more people getting into SUP (Standup Paddleboarding) and other water sports that are catching on, especially due to the fact that they are fun and easy to learn. SUP is spreading all over Florida and you can find amazing places to practice this sport and sightsee and get to know all the nooks and crannies of Florida. Although surfing and other water sports will require the rider to be seated until the wave comes around, it’s the complete opposite for SUP. Here riders are always standing and they propel themselves across the water. It has been a sport that has been increasing, and the amount of people who start off are actually in a majority first-timers. There are actually many variations of SUP that can be practiced by people of any age or skill level. You could practice on flat water while paddling as a recreational hobby, or sightseeing. Others may like a bit more thrill so they’ll do some racing on lakes, large rivers or even canals. If you’re even more adventurous you could try out whitewater SUP on river rapids. Although some see the relaxing and soothing side of it and decide to take on some SUP Yoga or even get in some fishing. Obviously depending on what you’re looking for, you’ll pick and choose the many locations that Florida has to offer. Although some may be scared at first, there really is no need to worry. You could even read more about how to prepare how to rescue yourself from any danger while SUPing on the Patrick Dwyer Blog. So, now let’s go through some amazing places you could visit while practicing SUP. This historic city is simply breathtaking and being able to explore it on a paddle is simply a delight. It’s located on the northeast coast of Florida and it’s said it is the oldest city in the United States. It stands out due to its Spanish colonial architecture and its well-known beaches like Crescent Beach and St. Augustine Beach. It is also home to a 17th-century Spanish fortress, The Castillo de San Marcos, which is a sight you can’t miss while visiting St. Augustine. You could find out more about tours and rent equipment here. If you are more interested in seeing wildlife including sharks and turtles, then maybe a Coastal Dune Lakes is perfect for you. These dune lakes are in South Walton, which is considered the perfect getaway in Florida. Its white-beached sand and turquoise water is an amazing place to relax and SUP. In Walton County, you can find 15 coastal dune lakes. These lakes are a unique body of water that shares an intermittent connection with the Gulf of Mexico and also is fed lake water from streams, rain and storm surge. Water is shifted back and forth and makes for a beautiful natural dune lake. While you’re there you can also find out about classes here. 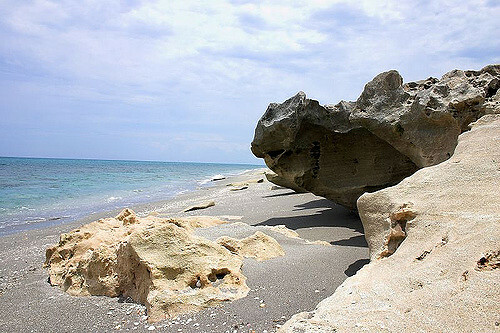 The Blowing Rocks Preserve is a protected area of Florida, located in Martin County, which is owned by The Nature Conservancy. Its waves spray up to 50 feet in the air, upon the limestone cropping, that sets this amazing location apart from the rest. You’ll find coquina shells, sand, and crustaceans, where you can spot sharks, sea turtles, and amazing reefs. It is quite windy, so it will depend on what kind of SUP you want to do. Although if you want something a bit more relaxed, you could always go to Intercoastal Waterway. While at Jupiter Island, try going here for any SUP help. Famous for visiting dolphins, mainly due to its calm waters. This is the spot for true beginners or those who simply want to enjoy the calm and ease of SUPing. Spreading across 10 miles of sandy beaches, it goes from the southern part of the state in Gordon Pass to the north up to Seagate Drive. It’s amazing for fishing and simply enjoying an unforgettable sunset. You can find a lot of facilities to help you enjoy your day or afternoon even more. For help with all your SUPing needs try this website. There are tons of other locations you could consider going to, again depending on what you're looking for in SUPing. Some places you could look up if you’ve made up your mind about paddling and traveling to Florida. You could always try Destin Harbor, for beginners who are looking for calm waters, or New Smyrna, for those truly adventurous spirits. If you’re more into sightseeing maybe Islamorada, will be the best choice. Here you’ll find an old wrecking colony, surrounded by mangroves that are home to sharks and crocodiles. Whatever your preferences, you are sure to find it in Florida. Finally, the decision has been made. 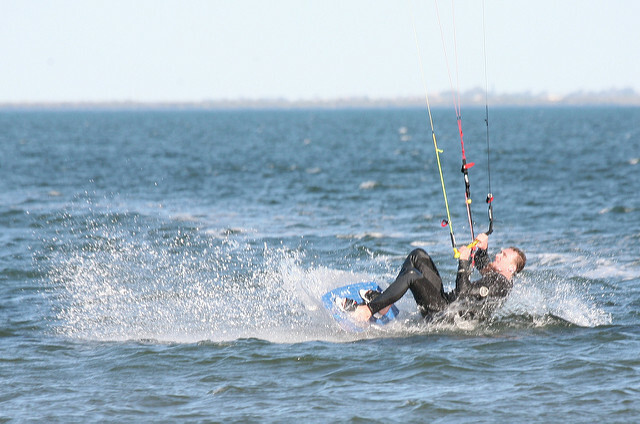 After thinking about it for a while, you have decided you want to try out kitesurfing. You are tempted because everything about it is just so attractive, it looks so much fun and so exciting, and it just makes you definitely want to find out what it feels like. 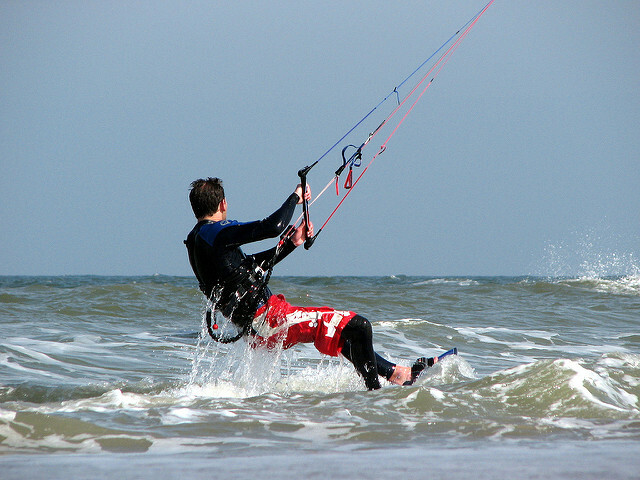 Kitesurfing has actually many things that make it look like such a cool sport to practice. Not only because it is in the water, which most of the time will involve fun details such as being on a beach, with a sunny day and a holiday environment, but also because it will make you feel movements and body activity that in the end will give you a great satisfaction, a sense of adventure and so much freedom. One of the things many kite surfers mention as one of the coolest sensations of kitesurf is the feeling of flying. You will literally feel like flying, without the fear of falling on the ground. Nevertheless, kitesurf, just like all sports, has a few conditions and things you need to know when you are doing it for the first time. Not because it is something impossible, dangerous or not recommended to do, but because everything in life has its rules, tips and recommendations in order to be able to enjoy it and make the best out of it. So here are the 5 things you need to know if you decide to try out kitesurfing for the first time. These things shouldn’t stop you from doing it. To read more about where to kitesurf in Florida, click here and see the best places according to Patrick Dwyer. Some sports are pretty intuitive and don’t need too many instructions to start a good performance by yourself. That is not really the case of kitesurf. Taking kitesurf lessons will help you build confidence with the kite, the wind, the water, and most importantly, your body. When you take a lesson you will be able to improve your skills and technique, you will learns about the safety of the sport and tricks or tips that will be very useful in moments you need them the most. 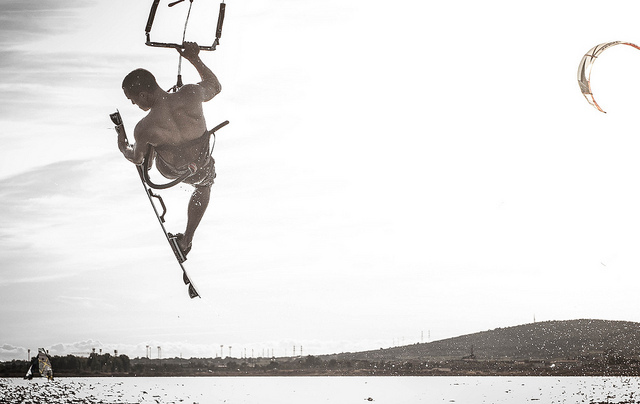 In essence, kitesurf is a sport where taking lessons will be the key to success. Good news. When it comes to kites, there are many sizes. The truth is, not all bodies are the same, and so all kites are not the same either. Same thing happens with boards and harnesses. They come in different sizes and types. There are seat harnesses and waist harnesses and it doesn’t really matter if you are big, small, older or younger. As long as your weight is over 80 pounds, everything will be ok, and if not, you can start with a trainer kite. Anything you do in life, especially sports, will involve taking a risk. Same thing happens with kitesurf. Responsibility is very important here, so take it easy, don’t go out there on your own, always take someone with you, it will be even a lot more fun. If there is bad weather, avoid kitesurfing and always choose safety over taking a risk just for the fun of it. This is also good news. 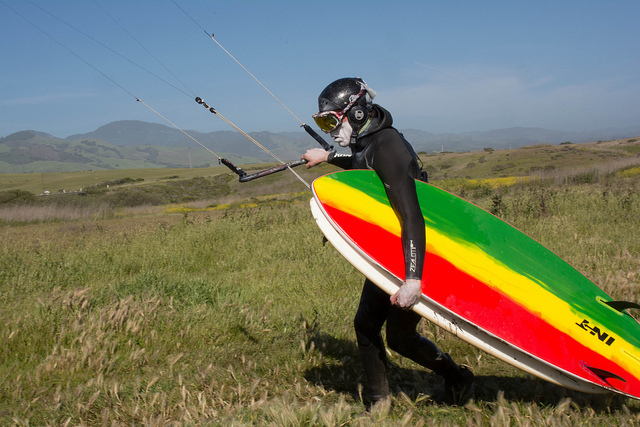 You don’t need to go to the beach or be specifically by the ocean to be able to kitesurf. 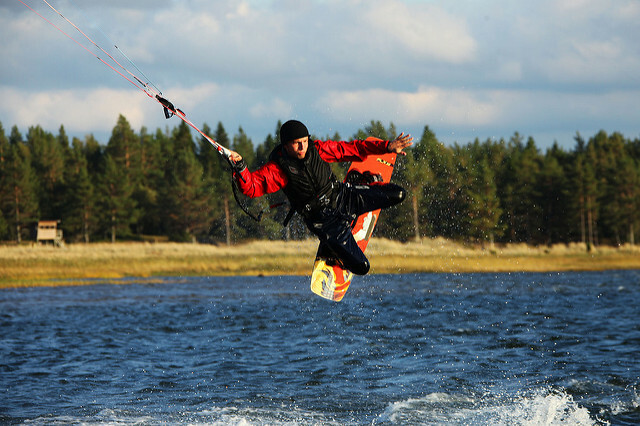 There are plenty of places around the world where you can kitesurf at a lake. In essence, all you need is water and wind…and of course a good kite. As a kite surfer you need to know that part of the fun of kitesurf is that you will be able to visit many amazing places you never thought you would visit, but since you want to kitesurf, well, make the best out of it and travel the world. Read about the Most important Kitesurfing championships in South Florida recommended by Patrick Dwyer. Falling is not fun at all, but one of the best things about kitesurf is that even though you know you will fall, it won’t be as hard or scary as when you fall on the floor. In this case you will fall on water, and that is always softer and easier to manage. The bad thing about it is all the water you will probably get in your eyes, your nose and mouth, but it will not involve pain because the other thing you need to take into account is that you still have a kite in your hands that is kept in the air because the wind is lifting it, so you will be lifted too, and that will avoid any imaginable pain in this case. Today we’ll depart from Singer Island, a small portion of the Barrier Islands of the peninsular east coast surrounded by the John D. MacArthur Beach State Park north and separated from Palm Beach by the inlet that connects the intracoastal waters with the open sea in the south. The insula, which is the easternmost spot in Florida, is full of hotels, marinas and condominiums, and the standard of living is high. Sport fishing and diving are the most common activities here. Our route starts at the Park Avenue, on which we will move north from Bamboo Street, just at the point where we will see the giant seal of the tiny town of Palm Beach Shores engraved on the pavement. When we reach highway A1 / Blue Heron Blvd we’ll turn left, briefly passing through the city of Riviera Beach, as we face the high bridge that will take us to the mainland. On both sides of the street there are many shops, across the horizon we’ll see tall apartment buildings and the entire coastline of West Palm Beach and its port. From the highest point of the structure we will see countless pleasure boats of all sizes and shapes, crossing the wide waters of Lake Worth before heading out to the ocean. Right in the middle is Peanut Island, a very popular park, especially on weekends, in which thousands of people congregate. Once we get to the US 1 / Federal Highway we’ll turn north quickly to get to Lake Park. At the US 1 there is a park dedicated to the founder -Harry Kelsey- overlooking the Intracoastal Waterway. Right in front, at the other side of the lagoon is a natural reserve with sand and coastal fruits which is what these parts looked like decades ago. Then we will be circulating in North Palm Beach. Among the points of interest which we will highlight the town hall and the Country Club with golf courses that had been originally created by Kelsey himself, formerly known as the Winter Club. The next point on the route will be Juno Ridge, home to about 740 people near Palm Beach Gardens. On the PGA Blvd / SR 786 we’ll begin to head west, initially across a shopping area with hundreds of offices and banks. Then we’ll pass the two major highways that run through the state from north to south, the I-95 and the Turnpike as we enter PGA Commons, a modern and stylish dining and shopping district. Soon the sights become greener and you’ll see the large and affluent residential complexes, roads and wooden bridges over the swampy areas, and huge houses and many golf courses will be visible in the background. Next is the PGA National Golf Club, the national headquarters of this sport. Having reached the C-18 canal, civilization gives way to the Loxahatchee Slough, a section of the Everglades composed of extensive pine forests, sawgrass and flooded land, rich in wildlife. This mysterious ghost city is Apix, a top secret government project that began in the late 1950s to experiment with hydrogen-based engines and to maintain the fast pace marked by the Soviet Union back then. Now you can walk these trails on foot since the passage by bicycle or on horseback is still prohibited. However, the Right-of-Way allows us to move along the canal without problems. We'll go two miles southwest and one and a half west to reach the entrance to the J.W. Corbett WMA. This Wildlife Management Area, as all WMAs, is a natural recreational area away from any inhabited place. As soon as we arrive, we must pay for the entrance. The proceeds go directly to the maintenance of the park. Once there, we’ll advance along the main path, the Stumpers Grade. On the right we’ll find the Everglades Environmental Youth Conservation Camp, and about six miles and a half from there, among clearings, sawgrass meadows, forests, streams and lakes, we’ll get to a canal that ends the lane and at the same time, the first half of our journey. Officially, the Jones / Hungryland Wildlife Environmental Area is bordered to the north by the J.W. Corbett and annexed to Pine Glades Natural Area. To the west there’s the DuPuis Recreation Area. All this territory is part of the Florida Birding Trail, a statewide network for observing birds and an extension of the Florida National Trail, a path for walkers nationwide. Now, to complete the route, we must go back to Palm Beach Shores. On the bike we must proceed with caution in urban areas and always be alert. If necessary, we’ll have to climb to the sidewalks. Anyway, the roads will give us enough room to roll. Read Patrick Dwyer's "A bike ride through Cubitis, Moffitt, Popash, and Griffin's Corner"
We begin our trip on US 17 at the point where it meets the south side of County Road 660, in the cluster of houses that represents the community of Cubitis. 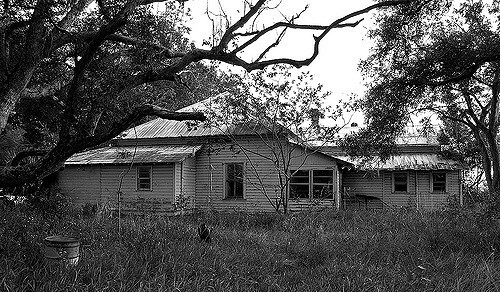 We are just three and a half miles north of Arcadia, the county seat of DeSoto, a gigantic rural area where farms, cattle ranches, plantations, metal windmills, barns and withered abandoned houses are by themselves telling the story of how a century ago these enclaves flourished and then died down. The road is wide, two lanes in each direction, with an unbeatable scenery. The crops in this region where the soil is almost white, sandy, are virtually limited to citrus. There are no mountains, we will never see them in the Sunshine State, but we will notice certain slopes along the entire journey. In this central area there are some more meters of elevation than on the coasts. Contrary to what happens as a rule in crowded places, people still greet each other as they walk through the old roads, even if they don’t know each other. In three miles we’ll get to Brownville, one of the few settlements of this route where a small sign will appear on the right side of the road announcing its name. A brick building on the opposite side is perhaps the tallest one in the whole area. With only two floors and almost one hundred years since it was built, the local school has seen silently how the town has remained unchanged for decades. Currently the area is still inhabited by the descendants of the pioneers who came to this land a century and a half ago, surnames that name countless streets throughout the region. On our bike, we will continue to advance three miles until the road becomes one lane in each direction. At the same time, we will be entering Hardee County which was founded in 1921 in honor of Cary A. Hardee, Florida Governor between 1921 and 1925. The Bluff Golf Course is the first thing that will appear to our right. Next up is Gardner, where we’ll see among agricultural machinery and fine horses, the Baptist church and cemetery right across, as is usual in these places. This site was originally called Calvina. The Peace River is always with us on the left, and it’ll always be less than a mile away from us. We will cross one of its tributaries, the Charlie Creek, formerly known as Charlie Apopka. In turn, the surface on top of which trains passed by until not long flows parallel to the US 17, sometimes on the left and other times on the right. Buchanan and other inhabited spots from now on are to be found on maps and other sources because, despite being inhabited, albeit rarely, they appear as ghost towns and are not even marked on the roadside. 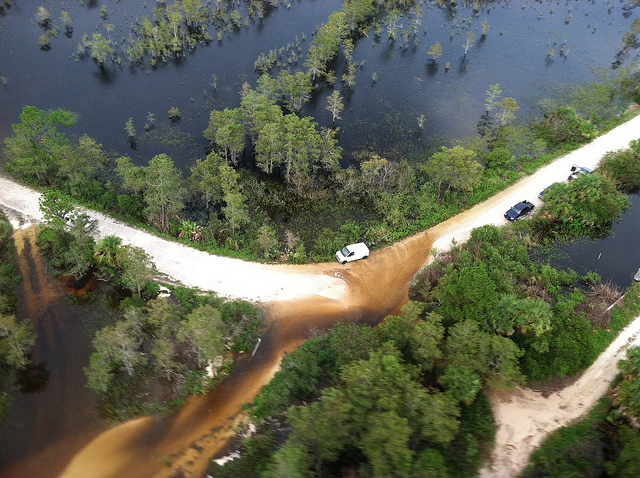 This one specifically is located two and a half miles north of Charlie Apopka Creek. The new name was adopted in honor of John Buchanan, the manager of the Atlantic Coast Line Railroad in the area. Nearby we’ll find the great Peace River Ranch, which was owned by Ben Hill Griffin Jr., a prominent politician and Floridian philanthropist who became president of the Atlantic Land and Improvement Company (ALICO) a subsidiary precisely of the Atlantic Coast Line which even today is dedicated mainly to livestock and agriculture. The landscape remains almost unchanged and it occasionally shows buildings of other times and at times, if it weren’t for the more recent car models, it’d seem as if we had traveled back a handful of decades. Three miles exactly on US 17, State Road 35 in the Sunshine State, we’ll get to Moffitt. Once we’ve reached the Popash Rd we’ll go right on State Road 64. One of the most important buildings here was the school built early in the twentieth century. Returning to our route, we will continue on State Road 64 for a little less than two miles, to get to Griffin’s Corner, where we’ll merge with the Griffin Road. At this point we’ll go back on the same roads to Sasser Road and Moffit Rd, but this time we’ll move eastward instead of going to the US 17. At the Dallas McClellan Rd we’ll turn right as the tarmac appears once again. This one is headed south even before ending up into the Sweetwater Rd, it arches westwards and then sharply continues south. Later we will go to the left, passing on top of the Charlie Apopka Creek and into Sweetwater. Now, we will go south on the Crewsville Rd but half a mile later, it detours and we’ll continue straight along the Fish Branch Rd, which again becomes a dusty gravel track. It’ll meander as we cross the Branch Fish creek, then we begin to look for US 17 by Gardner. From this point, we’ll return to Cubitis to end our tour. As for the bicycle route, it’s not a very difficult one, and at all times there’ll be a broad shoulder for us to ride. In other areas outside the US 17, traffic will be practically nonexistent. In a previous article, Patrick Dwyer shared the method of the basic Jumping, and some other tricks like Back Spin Kite Loop, KGB, and Front to Blind. Here you can learn more tricks and moves that could improve your game. Take notice that some of these new moves are not suited for beginners. Basically, the F-16 is an unhooked back loop kite loop, a kite loop being when the kite is hurled against the direction of travel. The difference from the hooked-in version is the way that you hold the bar. Both hands should be grasping onto one side of the bar, which forces the kite to turn extremely fast. The kite mostly dictates what happens in the F-16. To start, position your kite very close to 12 o’clock above you. If you wait until the kite pulls you off the water, it will already have turned too far, and therefore pull you around too early, making landing a little wobbly or leading to a bad case of over rotation. Physically jump up into your back loop off your edge just before you think the kite will pull. It will pull you up, it will rotate you and it will softly drop you back down once it finishes the loop. Once the hands have moved, get back on your, drop your weight low and get your shoulders out and upwind of the board. The bar is now vertical, this will happen automatically. Before the kite pulls, carve hard bending the rear leg ready to pop upwards. Your head should be looking forward. Jump up across the air powerfully. The kite has now travelled far enough behind that it pulls up. As the kite starts looping, the power will extend you. The turning of the kite should pull you around. When you feel the power collapse, look over your shoulder and locate a landing spot. On landing, try and maintain your weight over the back of the board. A speedy approach will make the pull from the kite seem far less violent while it gives you more control and a smoother landing. The more power you have in the kite, the higher and harder you will go. The Raley could be described as a gateway trick. This kitesurfing trick is generally considered the initial tentative move towards a life of hard, unhooked riding. It gives the rider a solid basis for the hard tricks, such as the Blind Judge and the S-Bend. The direction in which you are travelling just before you carve onto your edge will pretty much be the same as the direction you land. First, stop resisting with your legs and instead bent them and allow to be pulled up over the board. Standing up over the board, extend the front leg in order to keep your weight back over the tail of the board, keeping your back leg slightly bent. Pull the bar in towards your hips and push it down to release the chicken loop. Extend the front leg and lean back into the wind. With the shoulders leaning back into the wind and the hips moved over your back foot, you can now start to resist against the edge of the board, driving against the edge with your legs and turning the board away from the kite. Now you are ready to take off. Ideally, the kite should not move throughout this phase of the Raley. You must pop before losing the edge. Stamp down hard on the back heel against the edge, extending your back leg as quickly and forcefully as you can. You should be popped up of the water, and the kite pulls you forward towards it stretching your body out and flicking your feet up behind you. The pull from the kite will vanish as you travel in the same direction as the pull. Because of this, your legs will naturally start to fall. Pull your arms in towards the hips. Focus on where you will land. Steer the kite down hard for a controlled landing, with the board pointing towards the kite, in the same direction you started the move. To accomplish a proper landing, touch down tail first with your legs extended but ready to absorb the landing. Remember there is no kite floating you, so you are falling down to the water. The base for this is a powered unhooked popped front roll, the more aggressively you can pop the easier this will be. Work that kite to get some pull and speed, and park the kite at 11 or 1 o’clock, so that you know it won’t drive you down and therefore give you the confidence to pop hard and not lift the kite as you edge. Get your body back over the tail of the board as you bear away. Your board, knees, and hips will be thrown up high enough to make the pass. Concentrate on extending from your back leg all the way up into your back shoulder. This way even as your head goes down and around and your front knee lifts to initiate the rotation, you’re still on the way up. As you go down into the front roll you will still be rising. And with the bar in close keep the kite parked with the bar angled forward. You need to be leading with your head, even though you will be throwing the pass against the rotation, as you need to see where you are going so that you can time the movement. Once you can spot your landing, you need to pull the bar in towards your hips and pull your back knee, towards the bar. This will slow your rotation and lift that end of the board, giving you more chance to make the pass. Give one last tug on the bar with both hands, a bit front hand heavy to stop the kite flying up when you release it and then throw you head and shoulders back around, down and away from where you have been looking. Make the pass hand to hand with the board high and his knees bent. This way the board won’t drop and pull you away from the bar as you turn. For the landing, keep your head turning. So as you change hands keep turning the head to look towards where you are going, and untwist the hand, allow your wrist to turn palm down so that the bar is once again as it should be and the status quo is restored.